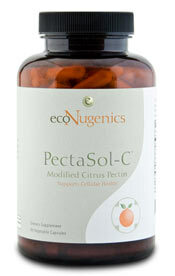 EcoNugenics PectaSol-C contains Modified Citrus Pectin derived from citrus fruit. EcoNugenics PectaSol-C is produced using a proprietary process that carefully controls both the molecular weight (MW) and degree of esterifcation (DE). The specific low molecular weight size range of EcoNugenics PectaSol-C allows easy absorption into the bloodstream with the effective range of molecular size and esterification. The veggie capsule contains natural vegetable cellulose and water. 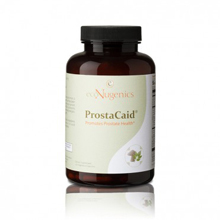 Active Support: Take 6 capsules of EcoNugenics PectaSol-C 3 times a day. Long-term Support: Take two capsules of EcoNugenics PectaSol-C 3 times a day. EcoNugenics PectaSol-C is designed to be taken on an empty stomach. Take caps at least 30 minutes before eating, or 2 hours after eating. Take 2 hours before or after consumption of other medication and supplements. Each Capsule contains 800mg of MCP. 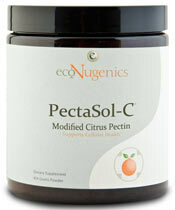 EcoNugenics PectaSol-C contains Modified Citrus Pectin derived from citrus fruit. EcoNugenics PectaSol-C is produced using a proprietary process that carefully controls both the molecular weight (MW) and degree of esterifcation (DE). The specific low molecular weight size range of EcoNugenics PectaSol-C allows easy absorption into the bloodstream with the effective range of molecular size and esterification. 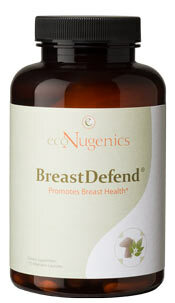 Active Support: Mix a 5g scoop of EcoNugenics PectaSol-C into liquid, 3 times a day. Long-term Support: Mix one 5g scoop of EcoNugenics PectaSol-C into liquid once a day. EcoNugenics PectaSol-C is designed to be taken on an empty stomach. Take at least 30 minutes before eating, or 2 hours after eating. Take 2 hours before or after consumption of other medication and supplements. 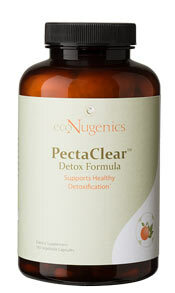 Active Support: Mix a 5g scoop of EcoNugenics PectaSol-C Lime Infusion into water, 3 times a day. Long-term Support: Mix one 5g scoop of EcoNugenics PectaSol-C Lime Infusion into water once a day. 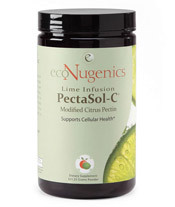 EcoNugenics PectaSol-C Lime Infusion is designed to be taken on an empty stomach. Take at least 30 minutes before eating or 2 hours after eating. Take 2 hours before or after consumption of other medication and supplements. Helps to reduce severity and duration of symptoms associated with cyclic mastalgia (recurrent breast pain). A traditional cooling formula, Padma Basic is used to combat areas of heat. Padma's ingredients increase circulation and support cardiovascular function. Used to support superior cleansing and removal of toxins and heavy metals safely and gently. Take 5 caps of EcoNugenics PectaClear, 6 times a day. Take with food or immediately after eating. For each dose, take EcoNugenics PectaClear with 125ml of liquid and maintain adequate fluid intake. Take capsules two hours before or after other medications or health products. For use beyond 3 weeks, consult a health care practitioner.